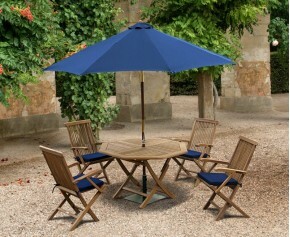 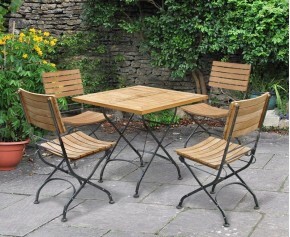 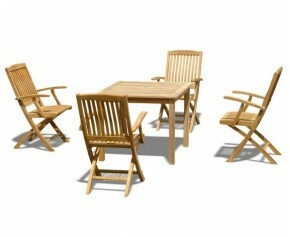 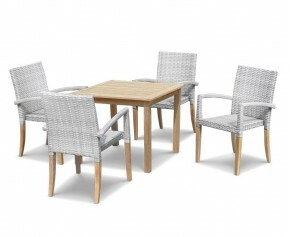 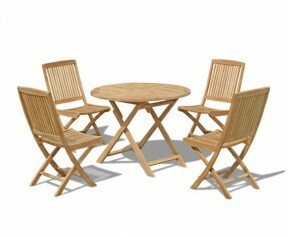 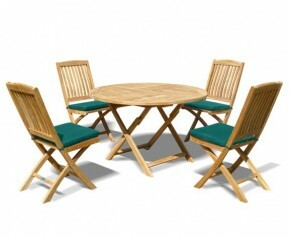 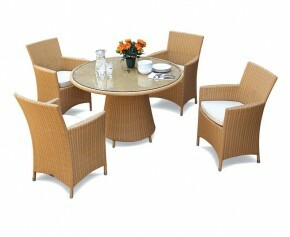 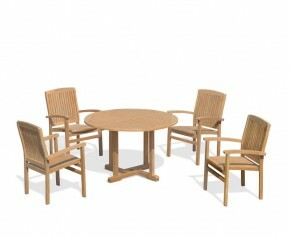 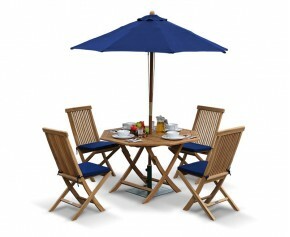 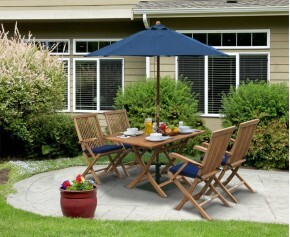 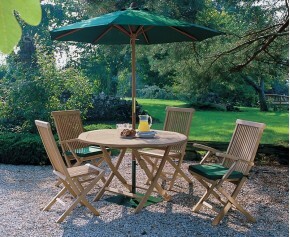 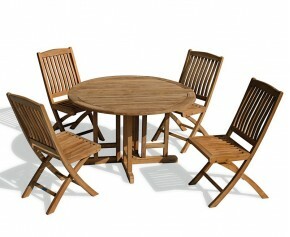 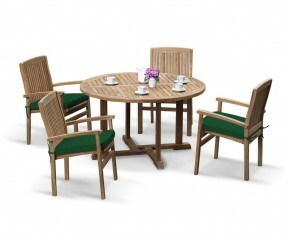 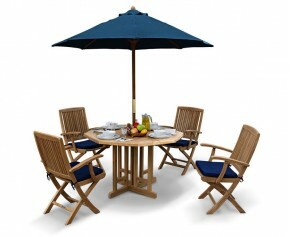 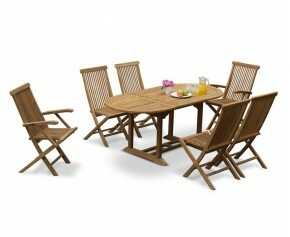 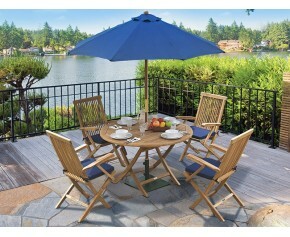 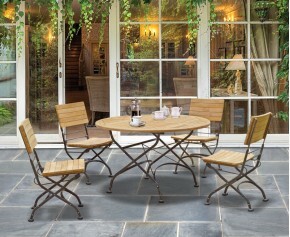 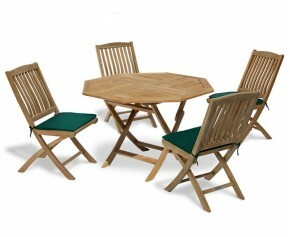 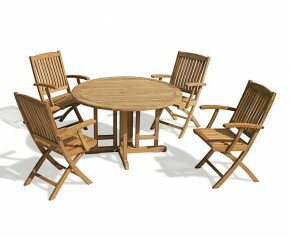 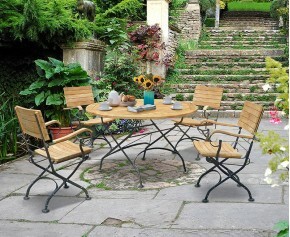 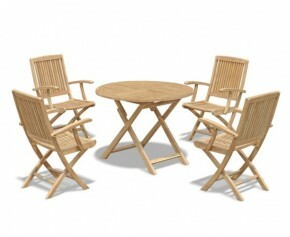 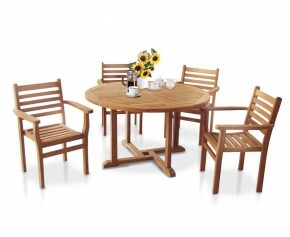 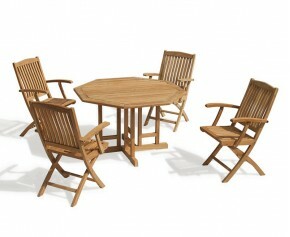 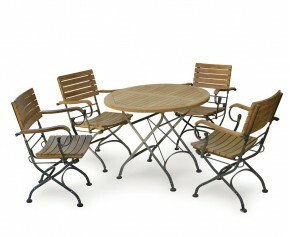 This robust teak garden table and 4 chairs set is solid, stylish and practical. 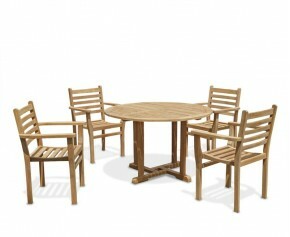 Offering a stunning combination of contemporary style and traditional material, this 4 seater teak dining set can be easily incorporated into any patio or garden setting for al fresco dining at its best. 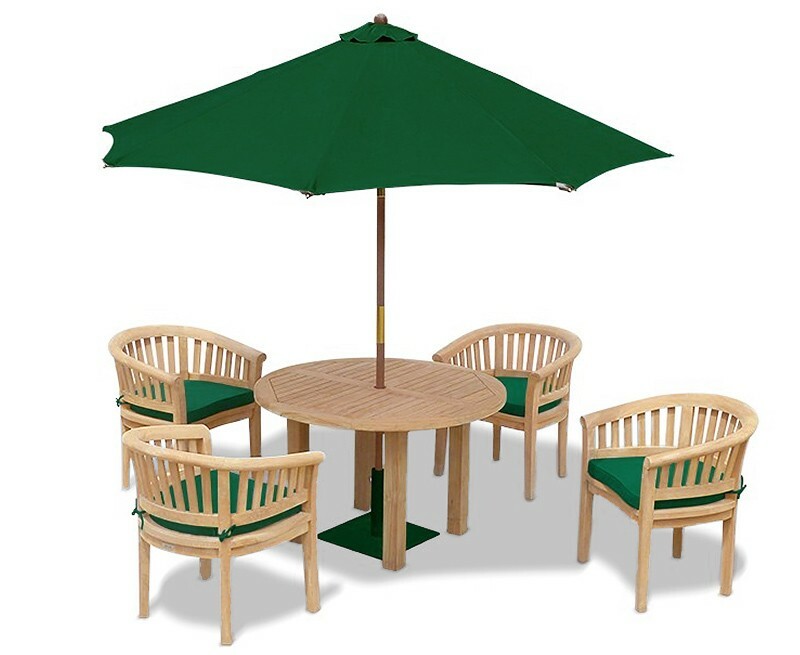 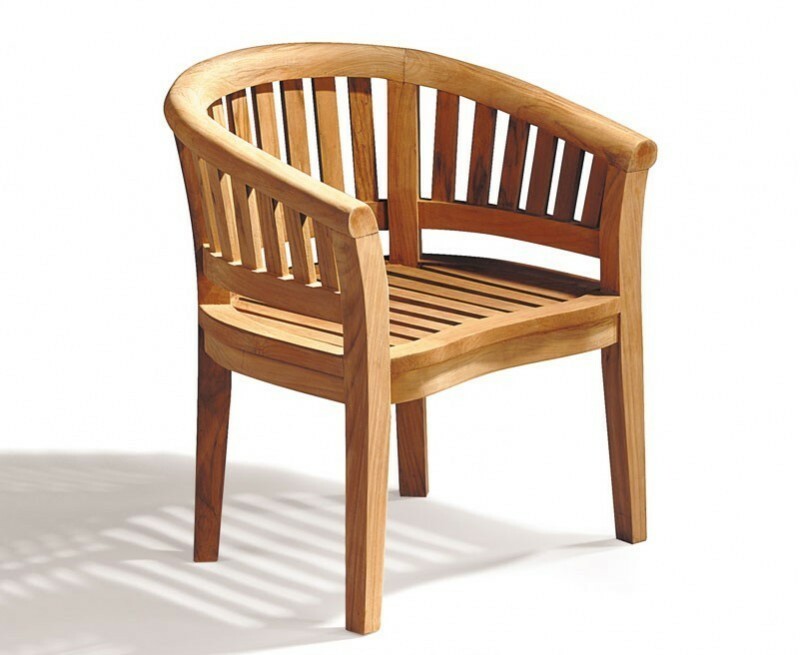 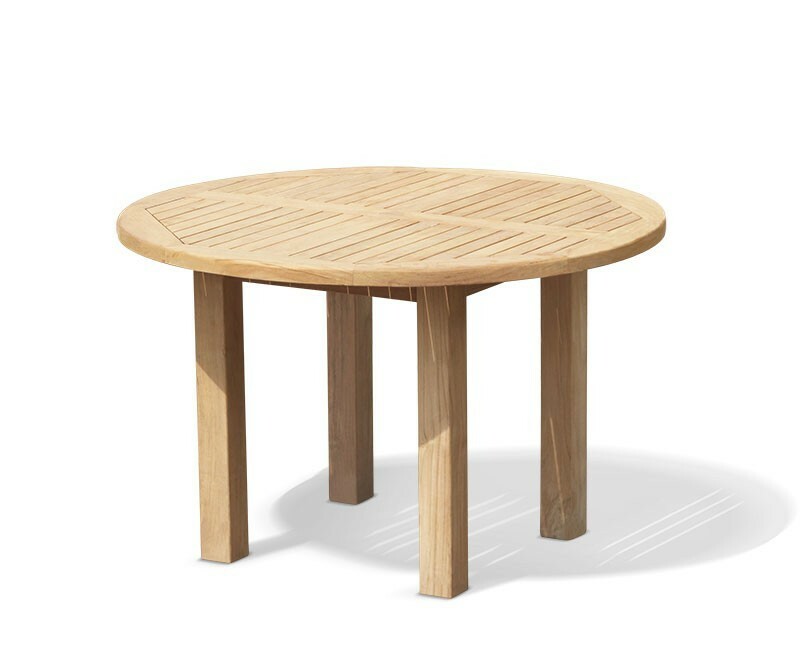 Manufactured to the highest spec, in sustainable Grade-A teak, this 4 seater teak dining set can be left outdoors all year round with minimal maintenance. 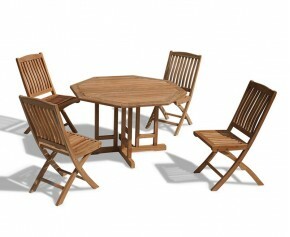 Featuring a thick 6cm, chunky frame on the table and sturdy garden chairs, this 4 seater teak dining set offers a simple yet timeless addition to your furniture set and will be delivered fully assembled for your immediate enjoyment.